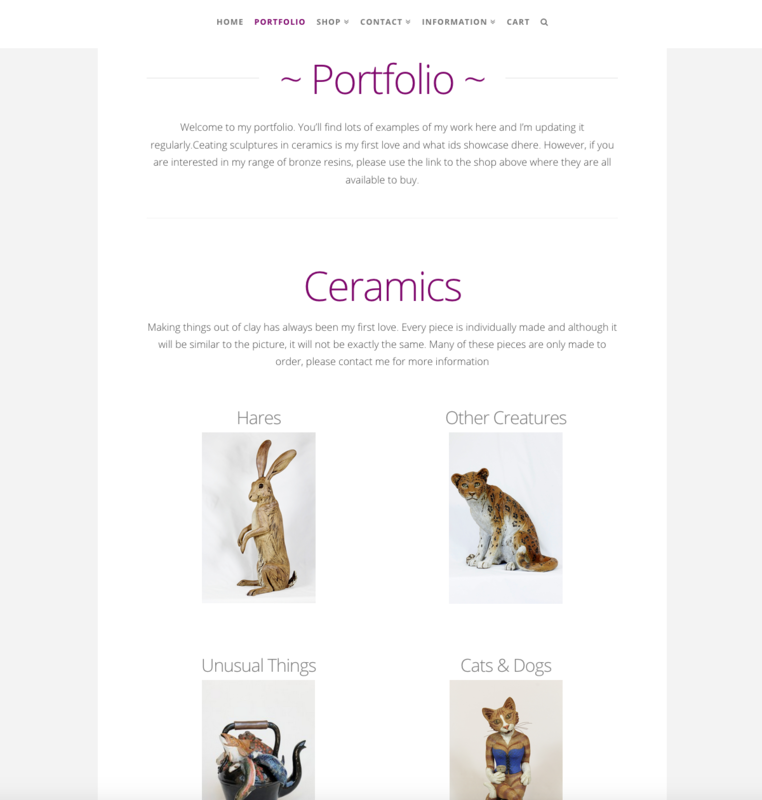 A portfolio website is an online gallery of an artist’s works, organised into categories to make it really simple to gather similar types of works together in one page. 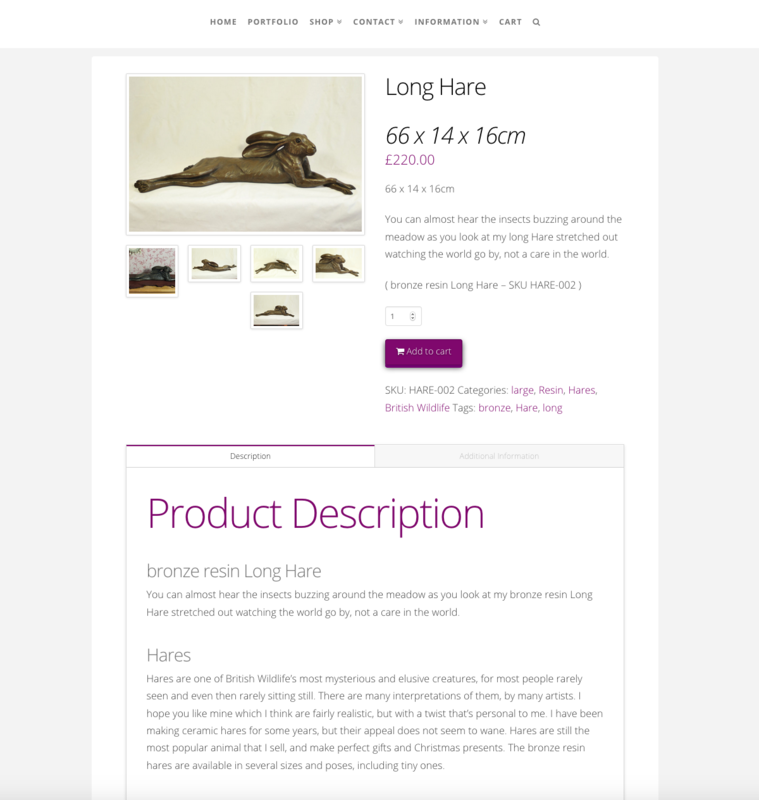 So for example, if you wanted to only view hare sculptures that are made of brass, you just select those categories and that is what will display. 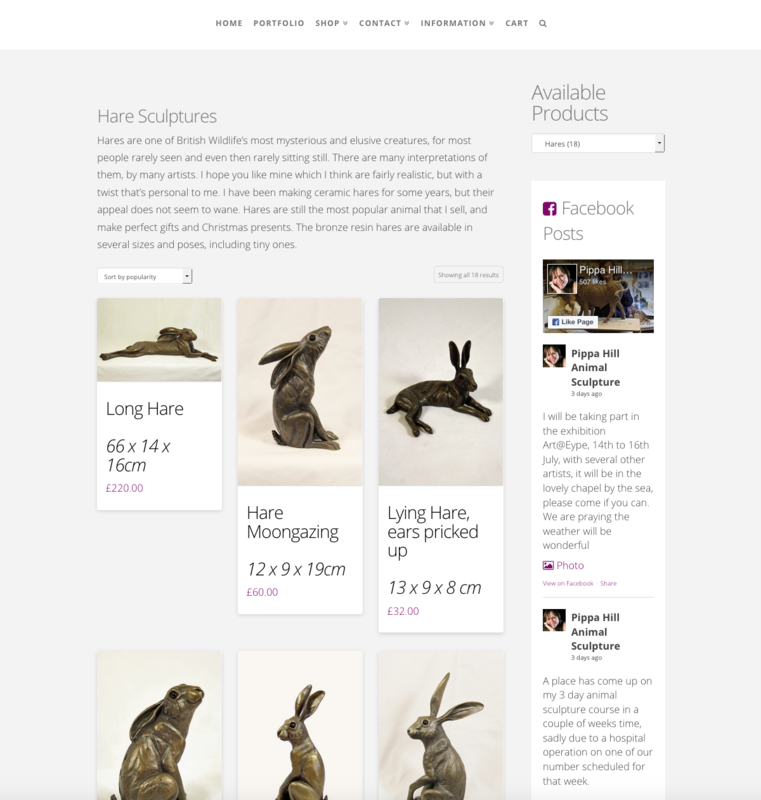 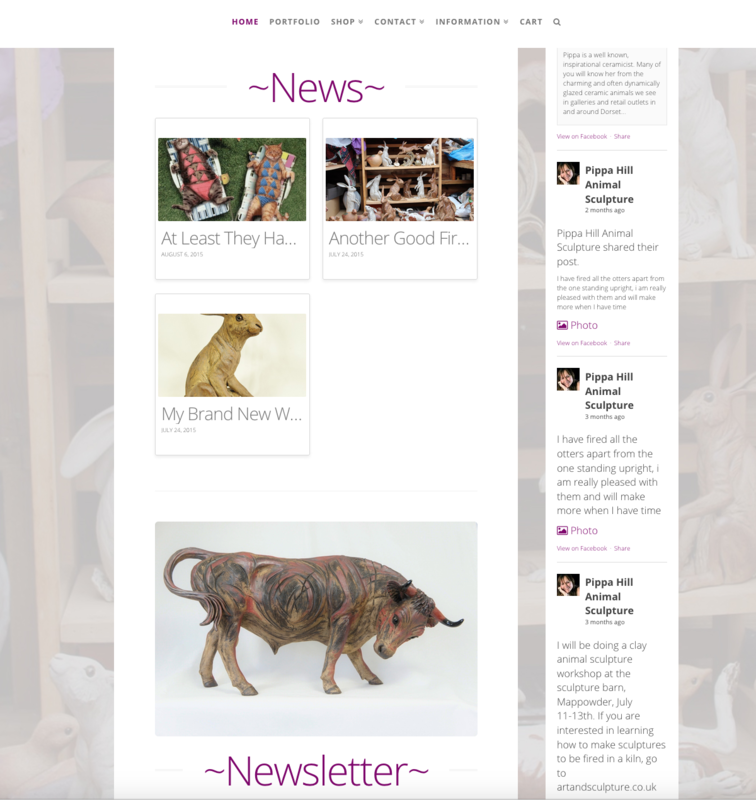 This makes for a great way to organise artworks and lets the visitor to the site see only what they want to. 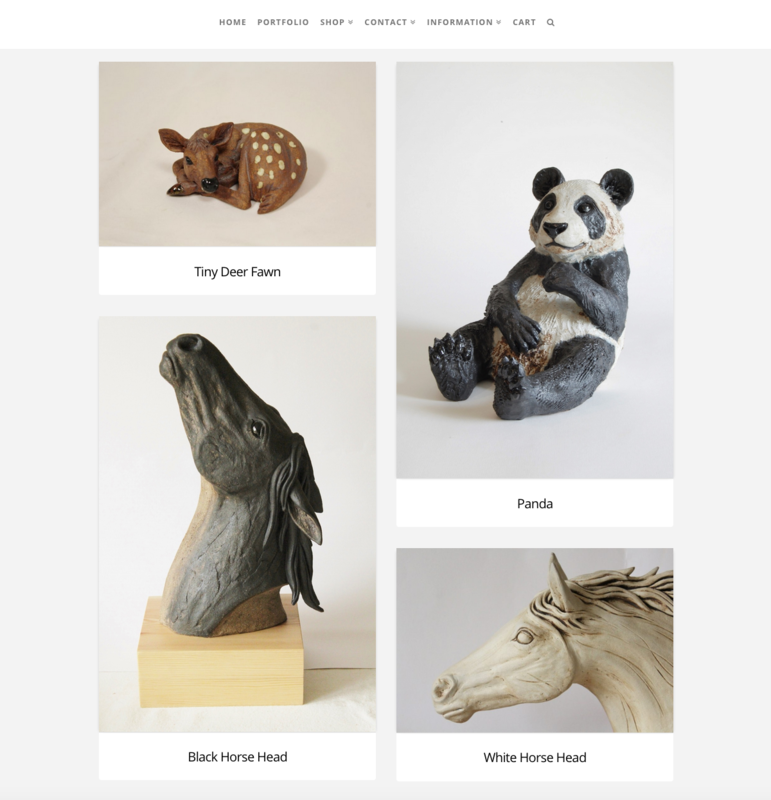 Of course, this also helps narrow down the works if there are very many of them on the site — now this portfolio website is also an e-Commerce site, the ability to gather only the types of artworks the visitor is interested in, will only encourage them to purchase — the easier it is to locate what they are looking for, the more likely they are to see the process through to payment. 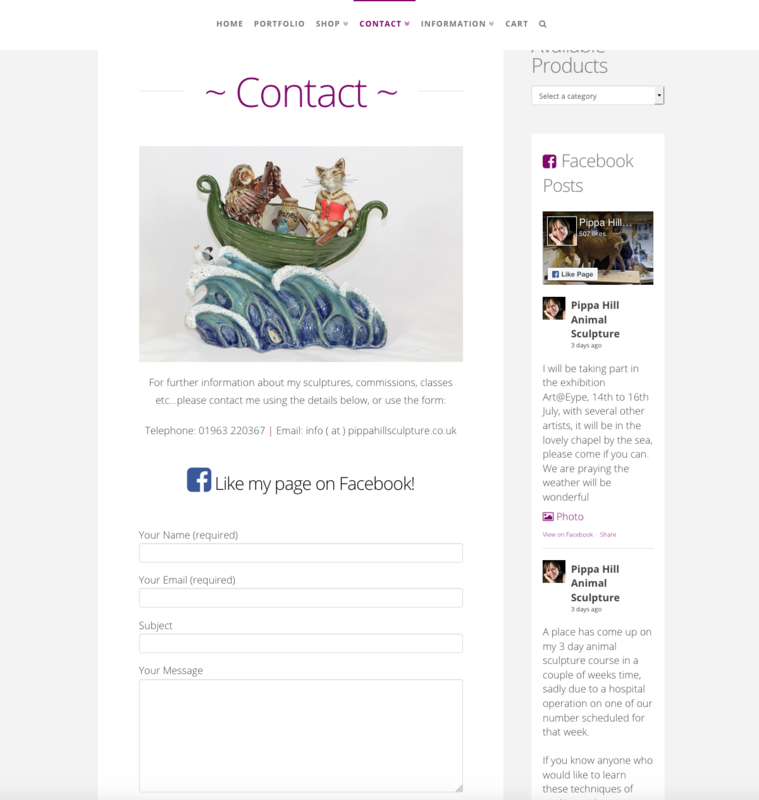 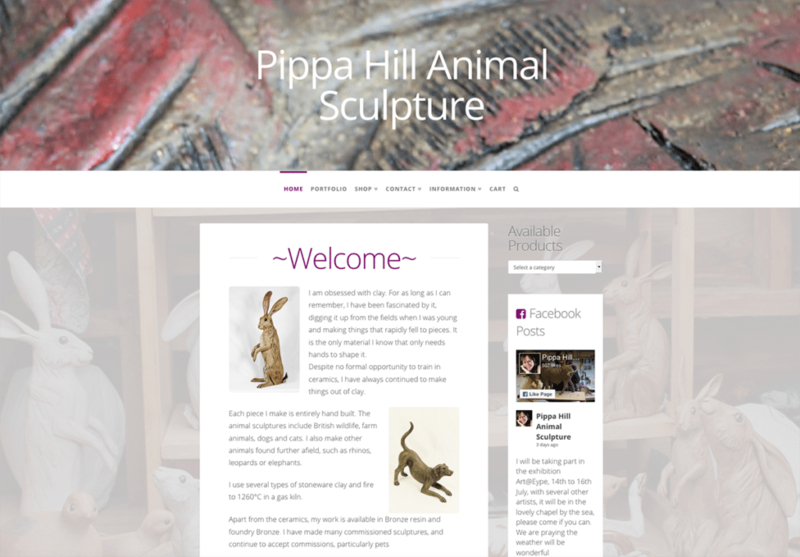 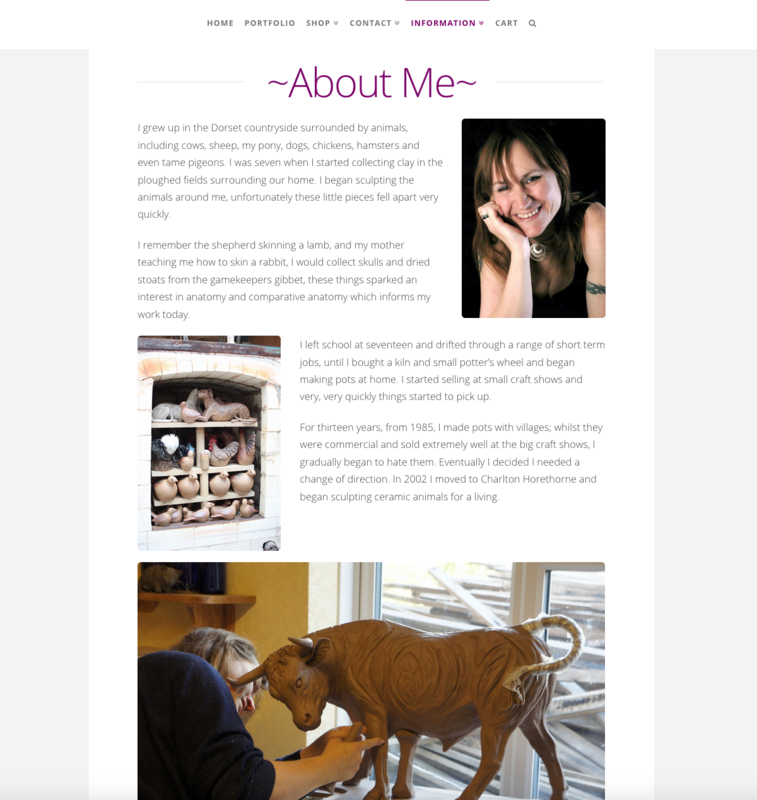 Pippa’s portfolio is changing all the time so it was essential the website was designed in such a way that updating artworks, adding new pieces, tracking sales etc. 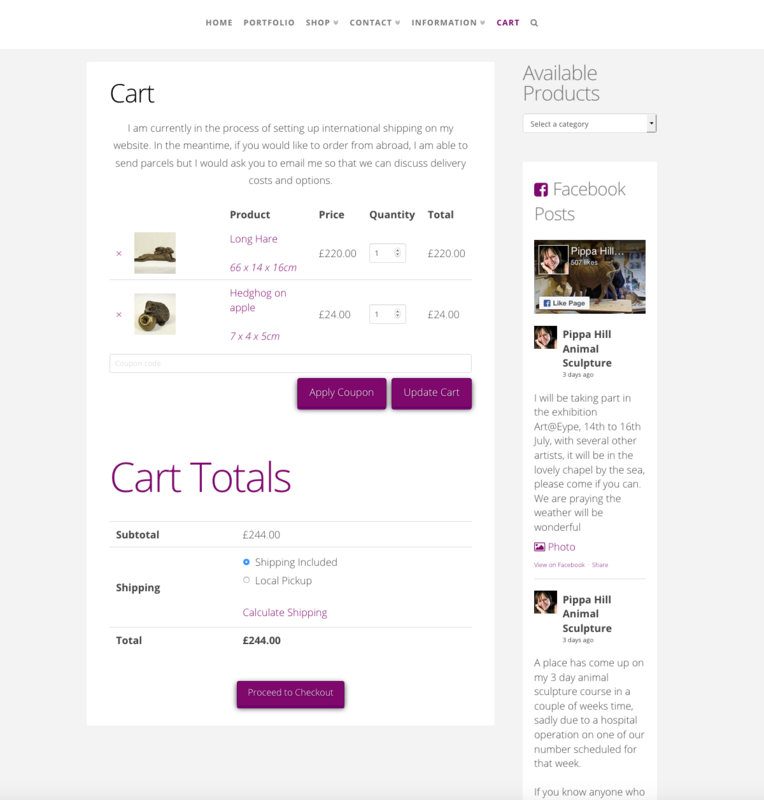 is as simple and user-friendly as possible.